Whenever I have wasabi paste on my sushi it burns right through my nose, makes my eyes water, and I think steam may even come out of my ears. So what do I do after this happens? Well of course I eat another piece of sushi slathered with wasabi paste and it happens all over again. If you like horseradish on top of prime rib you probably know the feeling in your nose. 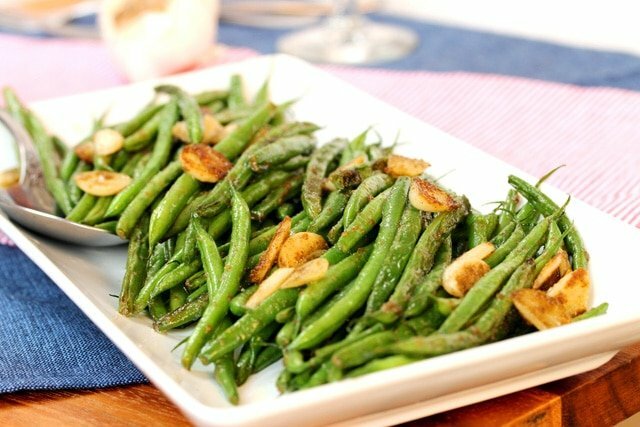 I stumbled across a package of fine French green beans in the produce department recently and the first thing that came to mind was sautéing them with garlic and ground sage. 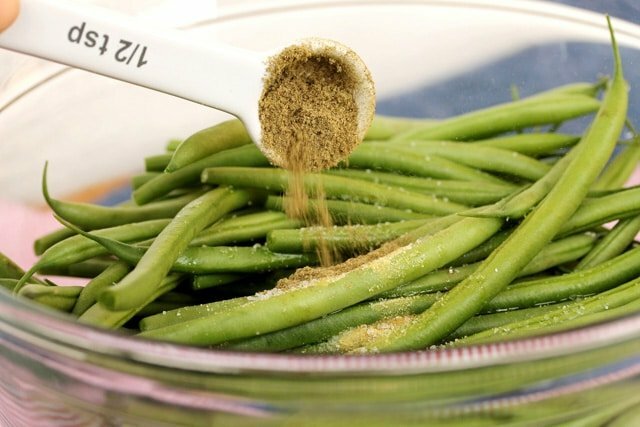 Wasabi powder turned out to be the perfect complement to give just a little heat to the dish (not to the nose burning level), and also add a delicious earthy flavor similar to the sage. Just a bit of butter added a hint of sweet brown butter taste and tied the wasabi and sage flavors together nicely. 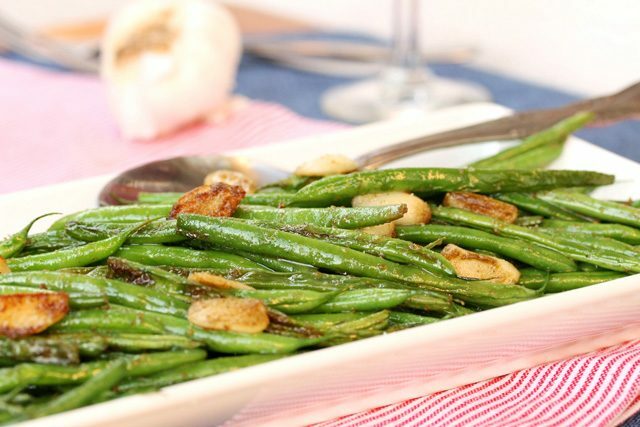 Since fresh French green beans aren’t always available in the store, regular green beans should work nicely with this recipe too. They would just need to be sautéed a bit longer. 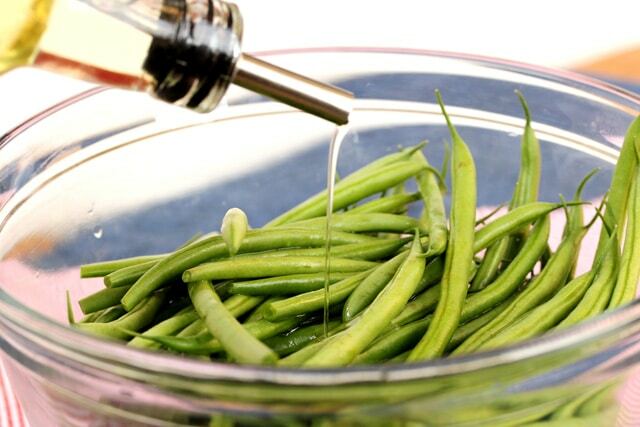 Snap or cut the stem ends off of the green beans and rinse them off. Add them to a medium size bowl. 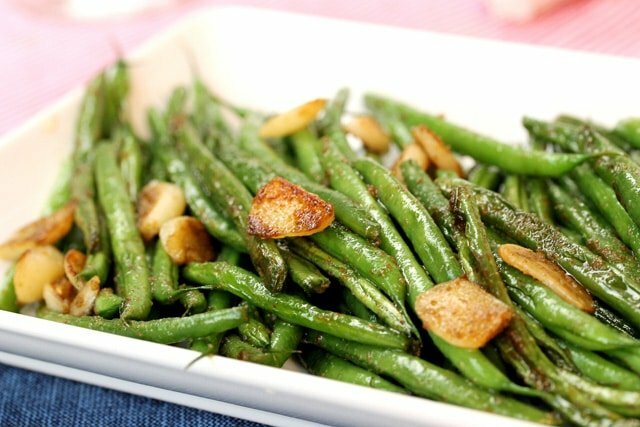 Toss the green beans until coated. Set aside. 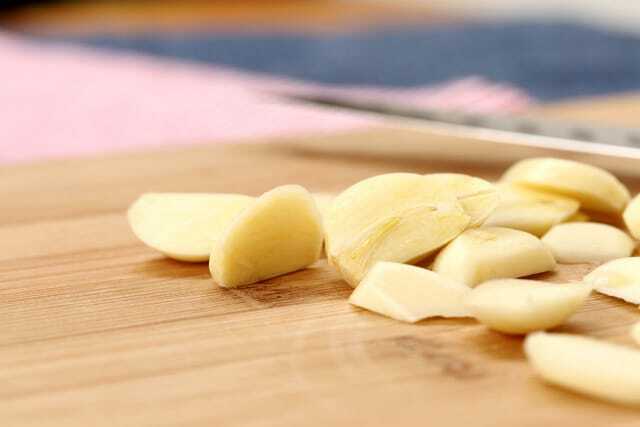 Slice the garlic into pieces about ¼ of an inch thick and set aside for a moment. To the skillet add the green beans. 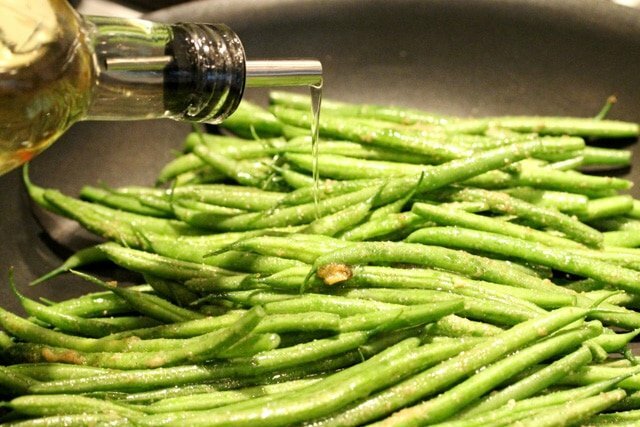 Drizzle olive oil on top of the green beans. To the pan, add butter, garlic and stir. 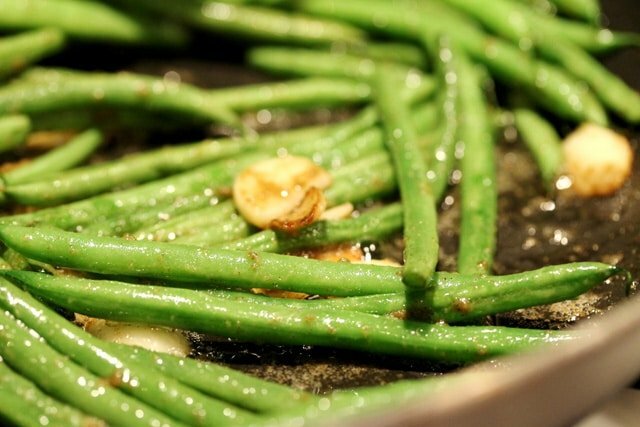 If using regular green beans, let them continue to sauté for 6 more minutes before adding the butter and garlic. 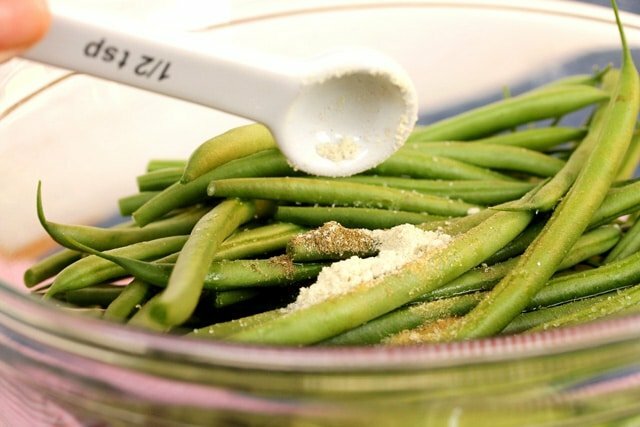 Keep stirring until the garlic turns a light brown or golden color (about 6 minutes) which is about the time when the green beans should be done. 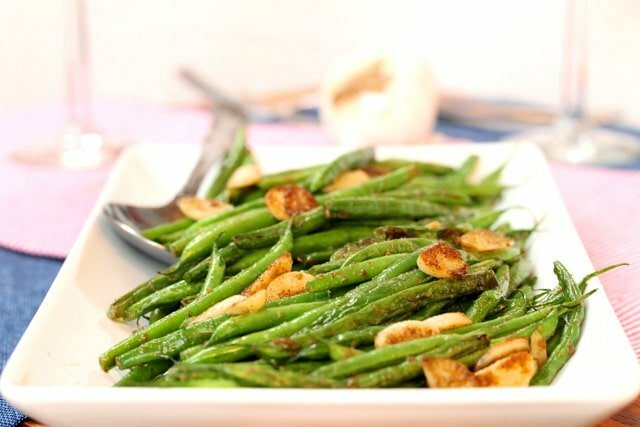 If the garlic is cooking too fast and starting to turn a dark brown color, turn the heat down just a bit. 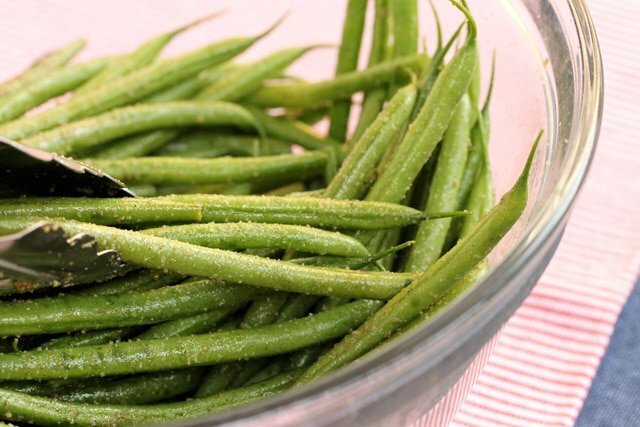 Some of the thinner green beans should be a little soft while others should be a bit crisp. Try a quick sample and salt to taste. Serve right away while warm and enjoy. 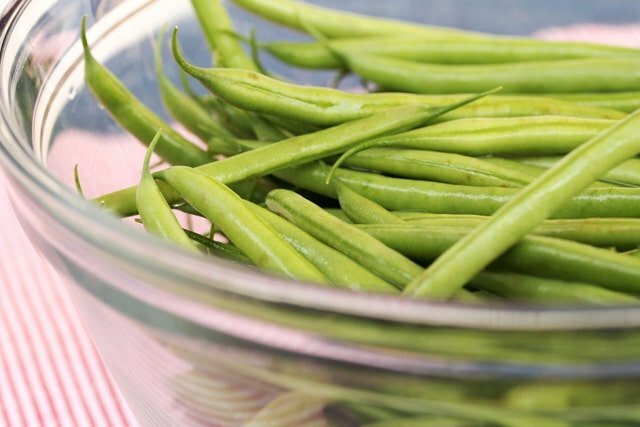 Snap or cut the stem ends off of the green beans, rinse them off and add them to a medium size bowl. 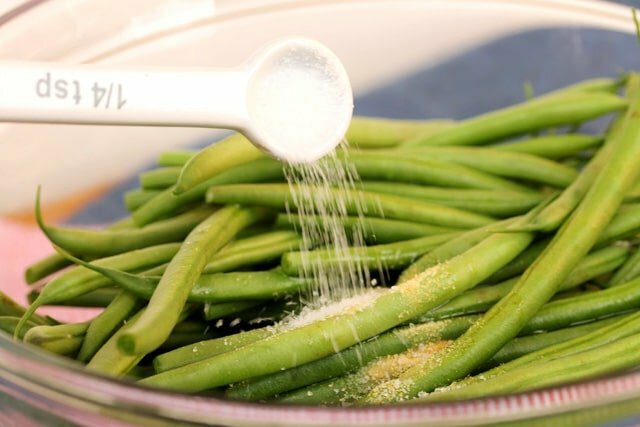 The the bowl, add olive oil, granulated garlic, sage, wasabi powder, and salt. Heat a large skillet on medium heat. 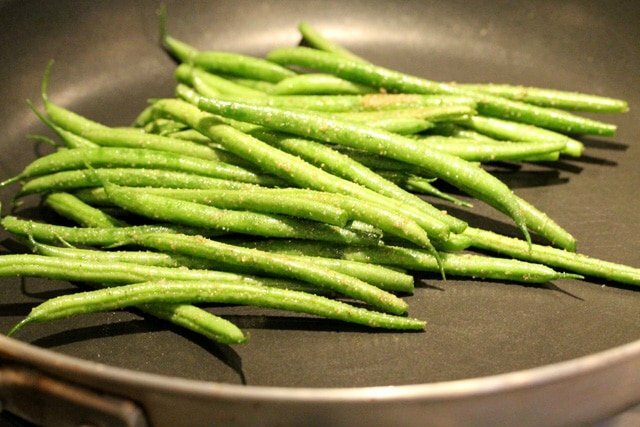 Add the green beans to the skillet. 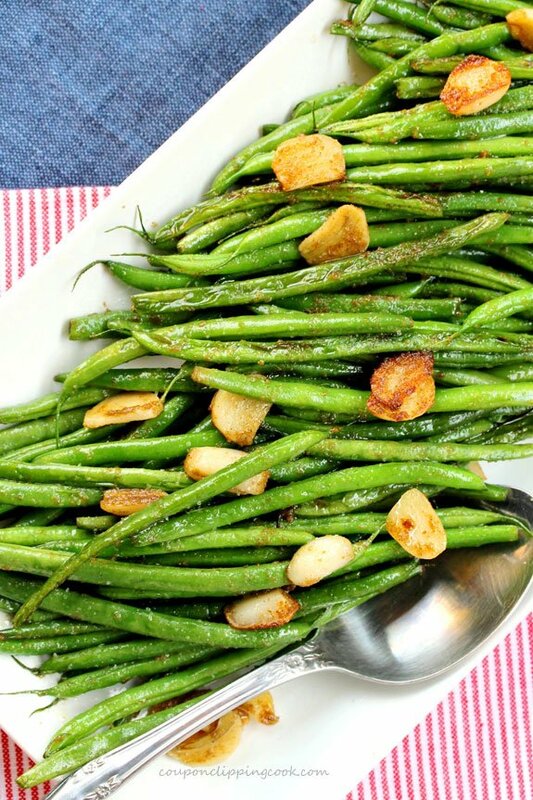 Drizzle 2 teaspoons of olive oil on top of the green beans. To the pan, add butter, garlic and stir. 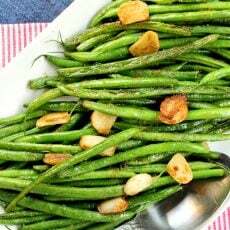 If using regular green beans, let them continue to sauté for 6 more minutes before adding the butter and garlic. 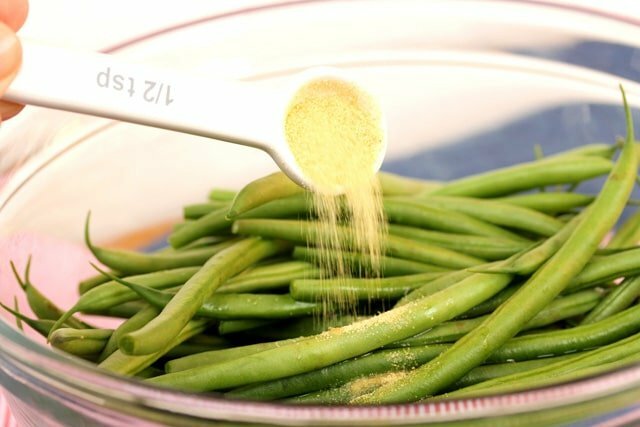 Keep stirring until the garlic starts to turn a light brown or golden color (about 5 minutes) which is about the time when the green beans should be done. 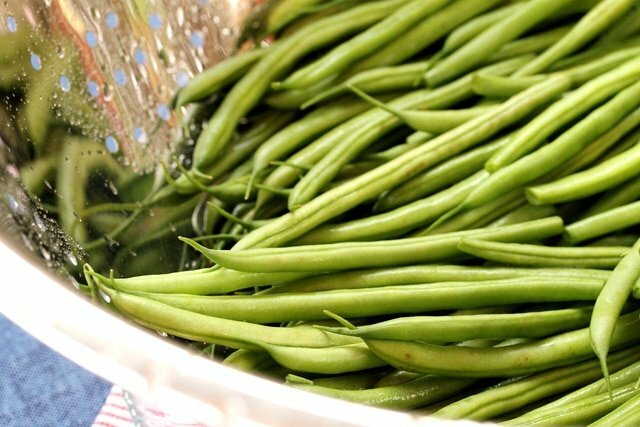 Some of the thinner green beans should be a little soft while others should be a bit crisp. Try a quick sample and salt to taste. 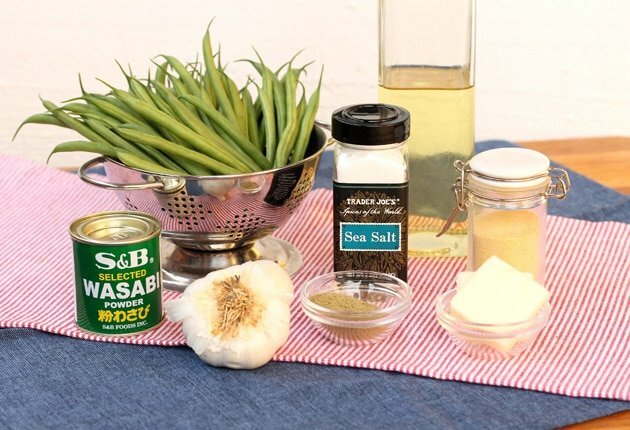 This recipe was originally posted on January 20, 2013.